Alibaba has officially announced its move into the automobile space after it unveiled its first “internet car” in collaboration with SAIC, one of China’s big four state-owned automakers. The RX5 is available for pre-order now, it’s priced upwards of RMB 148,800 ($22,300) with deliveries scheduled to start in August. 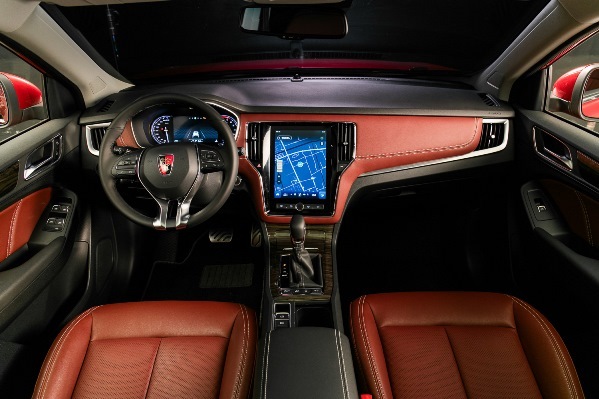 The sports vehicle has been developed over the last two years as part of a joint venture between Alibaba and SAIC, which put a combined $160 million into the 50-50 project. 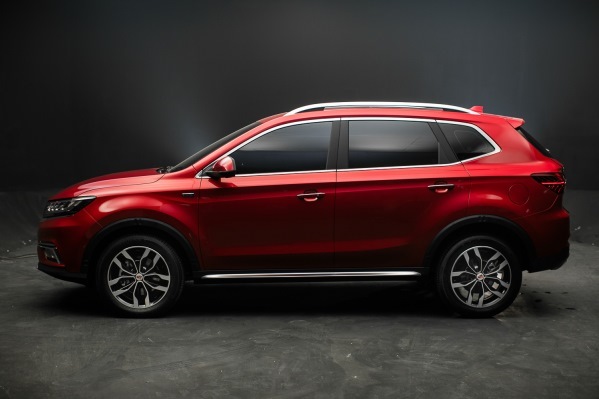 It includes a new version of Alibaba’s Yun operating system to enable the car to connect to and tap into various internet services. Alibaba raised a few examples of what that could mean in practical terms. It ranges from personalized greetings, music and preferred destinations based on settings that can be configured from a smartphone or wearable, to the ability to use Alibaba’s Alipay payments service to pay for parking spaces, fill up with gas or buy a coffee. It’s logical that Alibaba’s own services are a core part of possibility functionality, but the company said it wants to open YunOS to third parties, too. On the entertainment side of things, the RX5 includes three LED screens and space for up to four detachable 360 degree cameras to record video and take photos — because IN-CAR SELFIES — and a smart rear view mirror. As you might expect, there’s support for voice controls while an onboard “intelligent” mapping system, the companies claim, will work without GPS or WiFi. There’s no crazy, next-level ‘smart’ car features like autopilot, instead Alibaba is putting the focus on a shipping a connected car. “Going forward, cars will become an important platform for internet services and smart hardware innovation. We will be embracing a world where everything is closely connected,” Wang added. Alibaba is far from the only Chinese internet firm to get into cars. LeEco, formerly LeTv, is backing ambitious U.S. project Faraday Future and building a car of its own, while Baidu is one the front runners testing self-driving vehicles in both China and the U.S..
Alibaba is also a major shareholder in Didi Chuxing, the company that is beating Uber in China which recently landed a $1 billion investment from Apple as part of a gargantuan $7 billion round. It is unclear whether Alibaba will use that relationship and work with Didi to provide smart cars.